/Maintenance & Repairs /Why is My Low Tire Pressure Warning Light On? If you haven’t run over anything pointy, and if your tires are in good shape, a “low tire pressure warning” light can be a bit of a mystery. While your tire pressure monitoring system (TPMS) is designed to warn your whenever your tires have are 20% or more below pressure, it’s not always reliable. Since proper tire pressure leads to longer tire life and better fuel economy, it helps to understand why your tire pressure warning light might be on. Here’s a look at the causes behind your tire warning light and how you can fix it. Tires will naturally lose 1-1.5 pounds of pressure each month, so if you haven’t been checking on them regularly, your warning light is probably on for a good reason. If it’s been five months since you last checked your tires, you could be running 7-8 psi below normal. Yet changes in temperature can effect tire pressure too – for every 10 degree drop, you’ll loose 1 PSI of tire pressure. 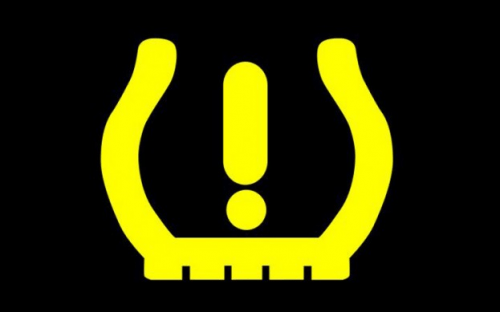 This means that if it’s a very cold morning (say 40-50 degrees below the day’s normal temperature), your low tire pressure warning light could be a false-positive…as the temperature increases, your tire pressure will return to normal. 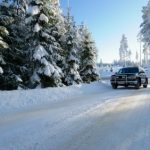 So, if it’s a very cold day – and if you check your pressure regularly – it’s likely safe to ignore your low pressure warning light (only it never hurts to check). Most drivers shrug off bumping a curb, but damage can compromise the air seal and even the structural integrity of your tire. If your low tire pressure warning light comes on while driving, it’s best to pullover and do a visual inspection. Check for any signs of sagging or deformities in your tires’ shape. Also look for an “egg” in your tire sidewalls…a tire with a damaged sidewall can fail without warning at any speed above 25 mph. 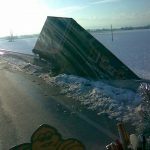 As you can imagine, surprise tire failures at high speeds can be a bit dicey. So check your tires carefully. If your vehicle has a TPMS, it’s probably monitoring the pressure in your spare tire. Therefore, if you get a low tire pressure warning light, and if you’ve checked all four tires that are touching the ground, than you might need to put some air in the spare. Recommended tire pressure can be very confusing. There’s a number listed on the inside of your of driver’s door, a number on the sidewall of the tire, and another number in the owner’s manual. In every case, you must ignore the tire pressure listed on the tire and on the sticker inside your door. These pressures are too high for normal vehicle use. 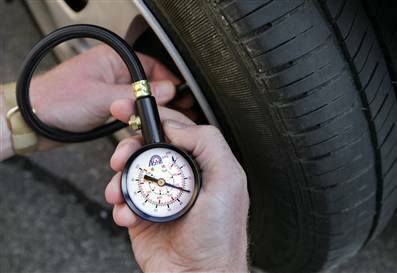 At best, inflating to these pressures will make your vehicle ride roughly and make your tires wear prematurely. At worst, over-inflation can lead to catastrophic tire failure…so read your owner’s manual and inflate accordingly (most vehicles recommend tire pressures between 32 and 35 psi). If you’ve recently had your vehicle serviced and the tire warning light activated immediately or shortly after, it’s likely that something tripped one or more of the tire pressure sensors. Some models require the TPMS to be reset after adding pressure. If you’ve checked all your tires (including the spare) and the tire warning light is still illuminated, reset your tire pressure monitoring systems. Some models require the TPMS to be reset every time pressure is added. Instructions for how to reset your tire warning light vary from model to model. Consult your owner’s manual to find the exact steps. 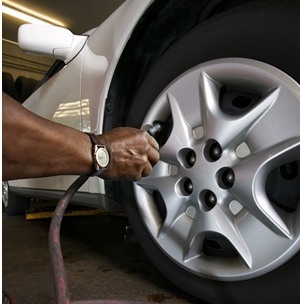 Remember – under-inflated tires wear out more quickly, are less fuel-efficient, and more likely to cause an accident. Your TPMS is helping to make you safer, but it can’t do all the work. Check your tire pressure monthly for optimal handling, longevity, and fuel economy.